I really don't write much any more to be sure. My life has been more complicated these past few months. That doesn't mean I'm not keeping up with what is going on in the world. Mostly I lurk and pass links on to relatives and friends on Facebook to articles I think helps explain or exhort. In doing this, I tend to catch the trends of the Catholic blogosphere. Unfortunately, there is a trend arising among certain conservative Catholics taking issue with the response of the American Bishops towards the Obama administration's attack on religious freedom, and this trend is the claim that if the Bishops were serious they would have done more and continue to do more then they are. If the bishops were serious they would do [X]. The bishops are not doing [X]. Therefore the bishops are not serious. 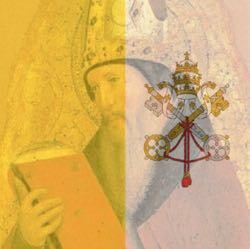 [X] can be the excommunication of certain quisling Catholics in government or speaking out more from the ambo about what the Church really teaches. The fact that the bishops do not appear to be doing these things is taken as grounds for criticism. I've written on this before, and I believe the points I made are relevant here as well. I believe both criticisms are wrong now, just as they were wrong in attacking the Bishops of New York back in July. I think one of the problems here is the fact that these conservative Catholics are making the same attack on American Bishops that liberals made against Pope Pius XII during WWII. That argument was that if Pius XII really [Opposed the Nazis, Wanted to save the Jews] he would [Excommunicate Hitler, Spoke publically denouncing the Nazis]. He didn't [Excommunicate Hitler, Speak publically denouncing the Nazis]. Therefore he didn't oppose the Nazis or want to save the Jews. That's the kind of argument against Pope Pius XII that shows up in Hochhuth's play The Deputy and John Cornwell's book Hitler's Pope and gets repeated constantly despite evidence that the Pope was more interested in saving Jews than in rhetoric which would not only fail to accomplish something positive, but also probably accelerate greater levels of evil. In other words, while excommunicating Hitler or denouncing the Nazis by name were one possible approach for Pope Pius XII to take, he chose a different approach – one that often required private communication and secrecy – to oppose Hitler and save Jews. It would be wrong to claim that Pius XII was indifferent or pro-Nazi or ineffectual just because his plan of action did not match our approval. I believe that this same error is being committed by those conservative Catholics who are belittling the efforts of our Bishops (every Catholic diocese in the US has condemned the Obama administration's action). The problem is, these complaints are unjust. Logically, they are the fallacy of Ignoratio Elenchi (irrelevant conclusion). While one may prefer the bishops taking a hard, "**** You!" approach to the Obama administration and those quisling Catholics who support him, those arguments favoring such an approach do not in fact reach the conclusion that the bishops are doing nothing or not enough. We really need to recognize that when it comes to barring from communion, it doesn't always work. Kathleen Sebelius is already barred (since 2008) from receiving communion, and that seems to have no effect whatsoever on her acting in defiance of the Catholic faith she claims allegiance to. Are we supposed to believe that excommunication is automatically going to change the minds of Pelosi or Biden or the Catholic senators who voted against religious freedom? Might they not use it as propaganda to argue "Look! The Bishops are trying to control the government!"? Now I believe that canonical sanctions would be good as a warning to those Catholics in the government that they are endangering their immortal souls, but I do not believe that we can justly argue that because the bishops have not opted to take this route that they are failing in their task as bishops. As for the speaking out accusation, can any informed Catholic claim that they do not know what the Catholic Church teaches on the issue of contraception? Every bishop who leads a diocese has come out against the Obama administration. They are speaking out publicly and to the government saying, "This is wrong." Those Catholics who still employ contraception or vote in favor of contraception and abortion do not do so out of invincible ignorance, but out of defiance or out of laziness to discover the truth. Did we not have Humanae Vitae? Veritatis Splendor? Evangelium Vitae? The Catechism of the Catholic Church? We have the continual witness of the Church, and the bishops are public with affirming the teaching of the Church. Any Catholic can learn what the Church teaches with ease. It is simply a matter of being willing to look. So as Catholics, let us cease our useless murmuring about how everything would be fine if the bishops would only do [X]. Yes it is legitimate to favor certain approaches (so long as they are compatible with the Church). But we must remember: Before claiming the bishops aren't doing "enough" we must ask ourselves whether we have the full knowledge to declare what we think should be done is automatically the only approach that can be taken. Otherwise our treatment of the bishops become as ignorant as the attacks on Pope Pius XII.